Three U.S. based non profit organizations filed a lawsuit against General Mills on Thursday for misleading the public by labeling their Nature Valley brand granola bars “Made with 100% NATURAL whole grain OATS.” It was recently discovered that the herbicide chemical glyphosate, an ingredient in Roundup and hundreds of other glyphosate-based herbicides, is present in the Nature Valley granola bars, which consumers expect to be natural and free of toxins. Moms Across America, Beyond Pesticides and Organic Consumers Association with The Richman Law Group filed jointly on behalf of the non profit members in Washington DC under the District of Columbia’s Consumer Protection Procedures Act. “As a mother, when I read “100% Natural” I would expect that to mean no synthetic or toxic chemicals at all. 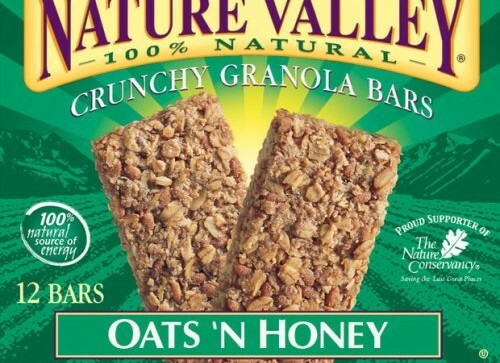 Glyphosate is a toxic chemical that the EPA recognizes as a “reproductive effector” which “can cause liver and kidney damage” and “digestive effects.” It is unacceptable that Nature Valley granola bars contain any amount of this chemical.” Zen Honeycutt, Founder and Executive Director of Moms Across America. A national survey conducted by Consumer Reports in 2015 finds that sixty six percent of consumers seek out products with a “natural” food label under the false belief that they are produced without pesticides, genetically modified organisms, hormones, and artificial ingredients. “Glyphosate cannot be considered ‘natural’ because it is a toxic, synthetic herbicide,” said Jay Feldman, executive director of Beyond Pesticides. “Identified by the World Health Organization (WHO) as a carcinogen, it should not be allowed for use in food production, and certainly not in food with a label that suggests to consumers that the major ingredient –oats– is 100% natural, when it is produced with and contains the highly hazardous glyphosate,” he said. “Food grown with dangerous pesticides like glyphosate isn’t natural. Consumers understand this. That’s why sales of natural products are booming. Unfortunately, companies’ misleading claims trick consumers into buying just what they’re trying to avoid. This has to be stopped.” -Alexis Baden-Mayer, Political Director of the Organic Consumers Association. The case specifically cites the use and presence of the weedkiller glyphosate in General Mills’ Nature Valley Granola products. The hazardous chemical is used during the production of oats, the major ingredient in these products, which are marketed as “natural” and labeled “Made with 100% Natural Whole Grain Oats.” As a result, glyphosate is present in the natural-labeled products. Proponents of glyphosate herbicide use may claim that the residue levels found in many foods and beverages in America recently are below the EPA allowable levels established in 2014, and therefore consumers have no reason to be concerned. However, a 2015 study published in the journal Environmental Health finds that chronic, low-dose exposure to glyphosate as low as .1 parts per billion (ppb) leads to adverse effects on liver and kidney health. The lawsuit alleges that, when marketing Nature Valley products, General Mills misleads and fails to disclose to consumers of the use and presence of glyphosate and its harmful effects. Plaintiffs are asking a jury to find that General Mills’ “natural” labeling is deceptive and misleading and therefore a violation of law, and require its removal from the market.